Purpose: The main purpose of this article is to examine the existence and development of the Knowledge Economy (KE) in Sudan. Design/methodology/approach: Evidence is gathered from different national and international sources to corroborate the country’s KE story and to compare its performance to peer African and Arab countries. The performance is judged based on tacit and codified knowledge strands, quantified using several international indicators and measurements. Findings: Evidence reveals that Sudan is lagging in many aspects of the KE, including low investments in education, R&D activities and labour, technological and skills capabilities. 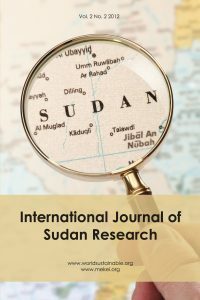 Originality/value: The findings support further understanding of the mechanisms of development and functioning of the KE in Sudan and may trigger strategic reforms aimed at building a conducive environment for the use of knowledge in economic development. Ibrahim M. Abdalla Alfaki is an Associate Professor in the Department of Statistics in the College of Business and Economics at the United Arab Emirates University, where he has been a faculty member since 1998.